The Race Tracker is a combination of many technologies coming together to produce the product a viewer will see. Each yacht being tracked is fitted with a 'SPOT' GPS Transponder; this device maintains a GPS position and transmits a fix every 10 minutes to the constellation of Globalstar data satellites. This fix data is processed by the servers at SPOT and sent to the Race Tracker servers across the internet. The viewer webpage queries the Race Tracker servers for a master list of yachts and positions when the page is first loaded, and it then continues to query the server every few minutes for updated positions and headings. The SPOT Personal Trackers are a handheld GPS transponder that uses the Global Positioning System to get a location, and transmits that information via the Globalstar data satellites. These fixes are processed by the Race Tracker servers to calculate heading and speed, and to interpolate positions at regular intervals for side-by-side comparison of race progress. 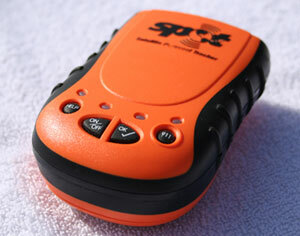 For more information on the SPOT system of tracking devices, please visit http://www.findmespot.ca.